Jen, one of our amazing copywriters, is going to be going on maternity leave soon, and we are looking for a talented writer to help us out (in-office) while she is gone. If you are a word whizz, have exceptional attention to detail and are generally a delightful person, (or know someone who is!) we would love to hear from you! For the right person, this could turn into a permanent position with us. Check out our Careers page to learn more about the position and how to apply! As one part of our health initiatives, we have a bin of delicious, fresh organic fruit delivered to our office by Urban Harvest every week! We have done this for almost 4 years as a healthy pick-me-up for our team. Urban Harvest is a local, Kelowna-based company dedicated to delivering high-quality, delicious, organic produce right to people’s doorstep. Urban Harvest supplies as much local, in-season produce as possible and makes it easy and affordable for homes and businesses to access local and organic foods. Working closely with local farmers not only helps the Okanagan farmers, but it ensures people are eating the freshest produce around. If Urban Harvest has extra produce that wasn’t sold, they donate it to the Kelowna Food Bank every week or compost produce that’s no longer edible. All around a great company! 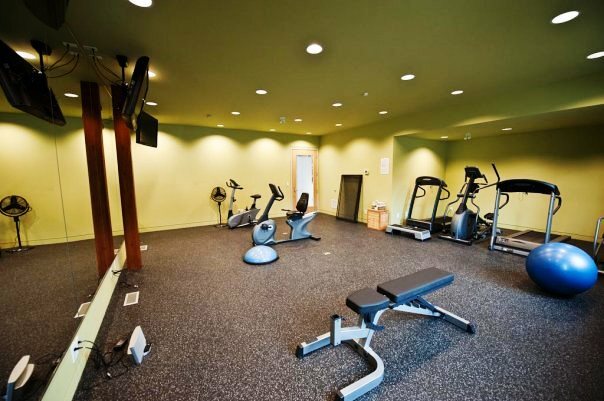 Other health and fitness initiatives that we offer to help our team stay fresh and healthy include a full onsite gym, a personal trainer that comes to the office twice a week, and daily, paid fitness breaks to get people up and moving. We also have personal days that we encourage our team to use for appointments, fitness, and anything that supports pro-active health. Some people have used it to run marathons, go snowboarding or skiing, etc.